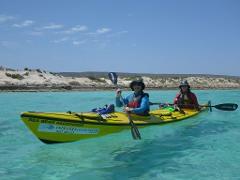 Travel with us into Cape Range National Park to sea kayak and snorkel the beautiful turquoise lagoons of Ningaloo. This tour is a real adventure. 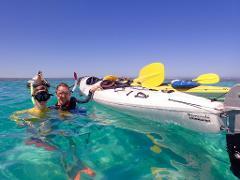 Spend 3 days sea kayaking and snorkelling along the World Heritage listed coastline of Ningaloo Reef and Cape Range National Park. 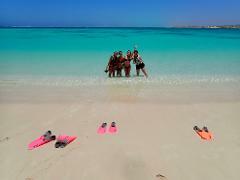 Kayak in sheltered, turquoise lagoons and snorkel world class sites each day. Travel with us into Cape Range National Park and experience the beauty of Ningaloo's underwater world with a guided snorkel at Turquoise Bay. 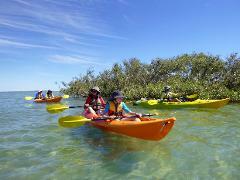 Join us for a half day sea kayak and snorkel adventure in the wildlife-rich Bundegi Sanctuary Zone. Spot turtles in the shallows, and take the opportunity to snorkel from your kayak.